Calcium Carbonate: A Possible Solution to Store Carbon Dioxide and Help Reef Growth Too? A new technique developed at the Lawrence Livermore Labs could offer a way to scrub CO2 from power station exhausts - and offer coral reefs and organisms a helping hand with raw materials at the same time. By Jeremy Torr. Santa Cruz, 29 Jan 2011. Whether we like it or not, most of us are going to carry on burning fossil fuels either directly or indirectly for many years to come. Every time we flip a light switch or open a plastic wrapper we are indirectly contributing to the ever-increasing weight of CO2 in the atmosphere. Researchers are working on a myriad ways to try to minimize the effects of this output – carbon capture and storage in depleted oil wells; throwing iron filings into the sea to promote carbon-eating organisms; using massive carbon capture “sails” to reduce the amount freely orbiting the Earth and so on. 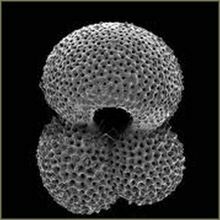 One research avenue that has caught the attention of carbon watchers is the work of the Lawrence Livermore National Laboratory on sequestering carbon dioxide in seawater - and then disposing of the more easily handled calcium bicarbonate (CaCO3) that results. Dr. Greg Rau, a researcher in the Carbon Management Program at the Lawrence Livermore National Laboratory, managed to successfully extract more than 95% of CO2 from natural gas with a seawater and limestone gas scrubber. Rau’s process washes the CO2 with seawater, producing carbonic acid, which then reacts with the limestone, producing calcium bicarbonate. Which is good – as long as you can dispose of the CaCO3 without further altering the balance of atmospheric gases. However, Rau’s proposal is to use the calcium bicarbonate to help build reefs and restore some endangered marine environments. The hard white solid compound is a basic building block for coral skeletons and shellfish shells, plus zooplankton skeletons. The new theory proposes that if the resulting CaCO3 is thrown into the sea near reef areas, it will usefully correct the current acidic imbalance – and help cut down atmospheric CO2 at the same time. This is because with rising atmospheric CO2 levels, the oceans have been absorbing more of the gas, resulting in the ocean becoming more acidic, and consequently less calcium bicarbonate available to marine life. However not all scientists are convinced. Dr. Thomas J. Goreau, president of the Global Coral Reef Alliance and consultant to the U.N, has reservations. “This is a process that will only work on a large industrial scale,” he points out. 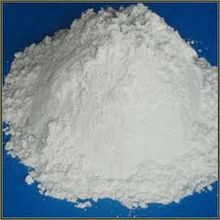 “It can't trap the smaller sources like cars or houses.” Goreau is also worried about the actual composition of the resulting calcium carbonate – he queries where the limestone is to come from in the first place; this could be a net loss in global terms if the limestone has to be mined or extracted from the ocean. Nonetheless, Rau is optimistic that his research will one day lead to new ways of looking at emissions from natural gas power plants near coastlines. Some of these already use seawater for cooling so would serve as obvious test-beds for industrial-scale pilot plants for the process. If successful, his method could allow a power plant to burn fossil fuel but eliminate most of the resulting CO2, and at the same time be more environmentally friendly and possibly help reef growth too.